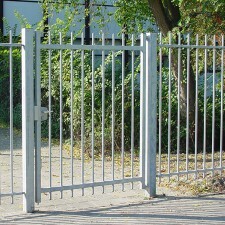 Swing gates from Kopal are available in different sizes, from small garden gates to heavy, industrial swing gates. Kopal has the right solution for every application. 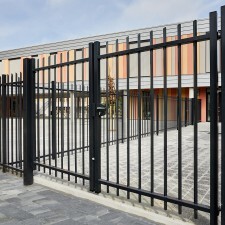 All steel gates from Kopal are galvanized, so they are immune to corrosion. 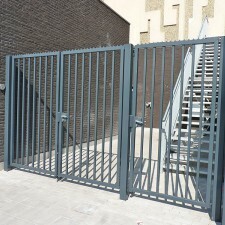 After galvanisation, the gates can be coated with a polyester powder coating. 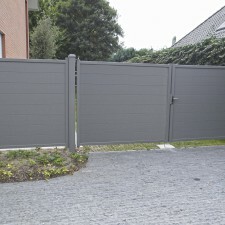 The aluminium gates can also be coated. Thanks to its own powder coating department, Kopal can deliver all gates in a RAL colour of choice. 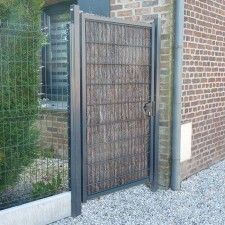 Single or double garden gate with mesh filling. 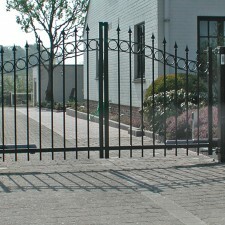 Single or double garden gate with round bars. 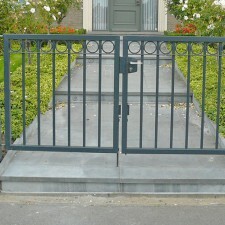 Single garden gate with steel mat filling. 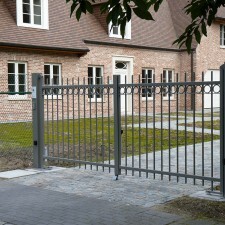 Single or double G gate with default bars filling, steel mat filling or Traversa. 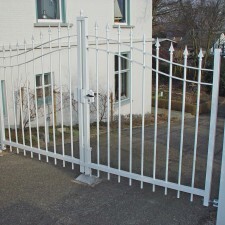 Single or double industrial swing gate with square bars. 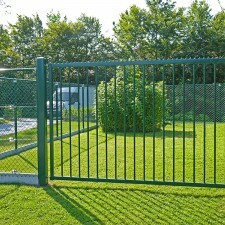 Single or double swing gate with steel mesh filling. 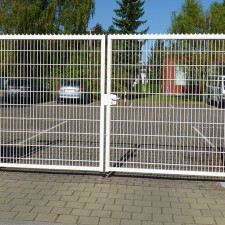 Single or double swing gate with round bars. 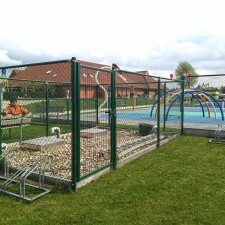 Single or double swing gate with round bars and ornamental rings. 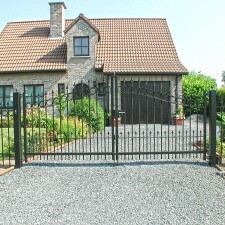 Single or double swing gate with round bars, spear points and decorative rings. Double ornamental gate with bars and spearheads. Double ornamental gate with bars, spearheads and decorative rings. 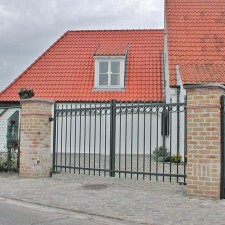 Double ornamental gate with bars, extra bars and spearheads. 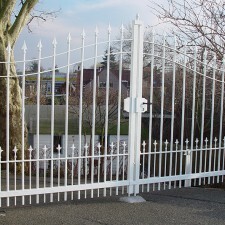 Double ornamental gate with bars, extra bars, spearheads and decorative rings. 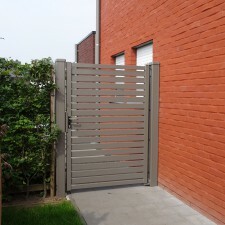 Single or double aluminium swing gate with lamellae filling. 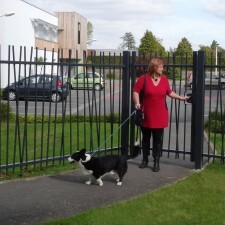 Pedestrian aluminium swing gate, available with different finishes. 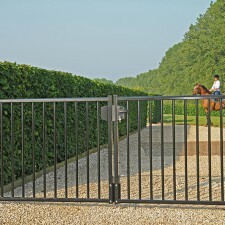 Single or double Arena swing gate with square bars.